I just had to share this, Test Impact at it’s finest. Working with a client on a brand new application that has Test Impact coming through as an angel on our shoulders. The recommended tests are really our regression tests, no questions about it. 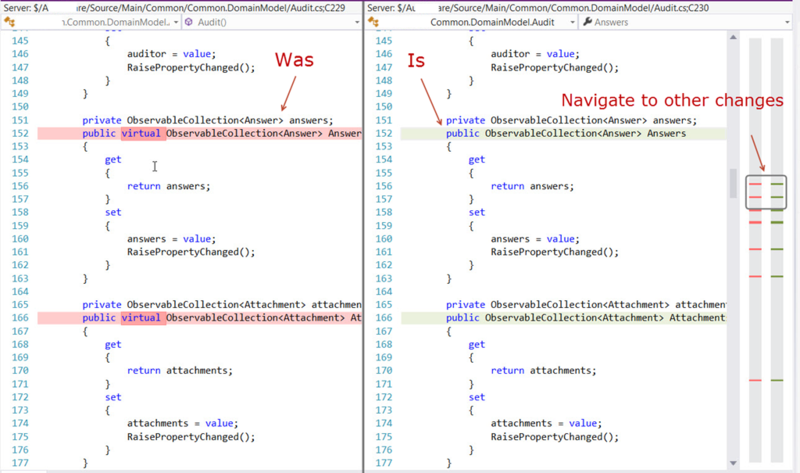 This is a great example of the importance of automated unit tests for legacy code. The time spent up front can save time and money down the road. There are different ways to get test impact working like this for any project. It will take initiative and creative thinking. Samples of what we are getting in Test Impact. See how Microsoft’s TFS Agile Team do their scrum stand-up and parking lot meetings Short video is the stand-up – Long video is the parking lot meeting. I like the use of the Agile Board it is a nice visual that is missing in the standard stand-up meetings in most companies. What happens if at a later date someone goes in and changes the title of the PBI? 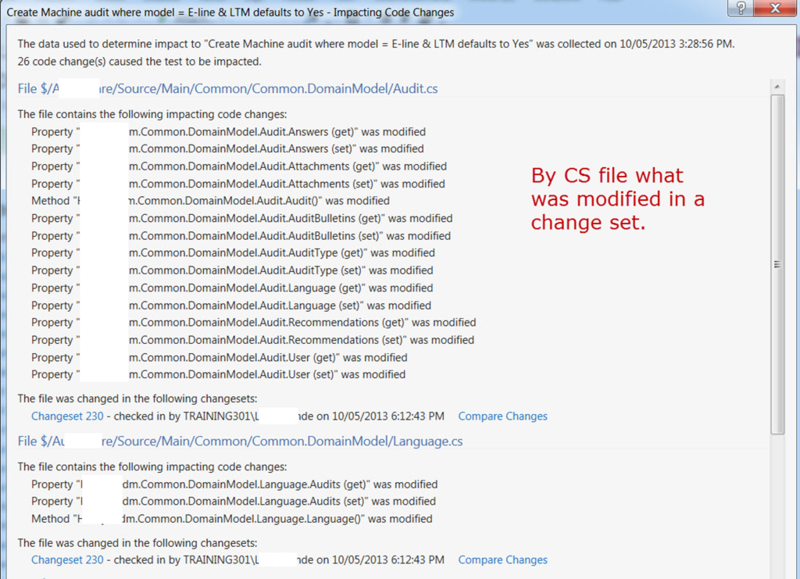 First the change in the work item to the title does not show in your Test Suite. 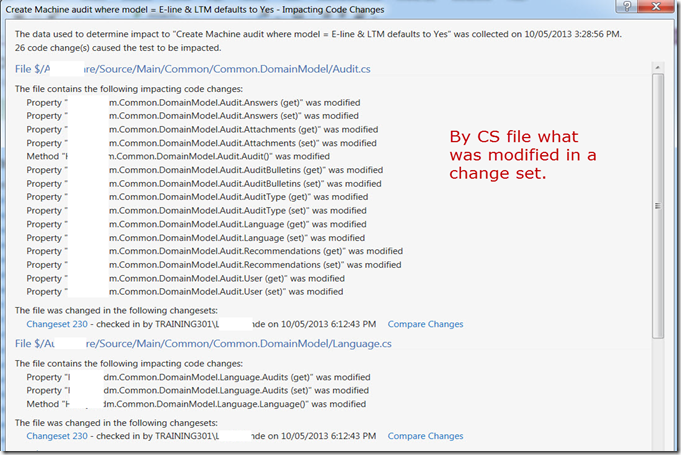 What has been added to Test Manager is an object on it’s own not a link to the actual work item. Think of it as a folder for tests related to your requirement. 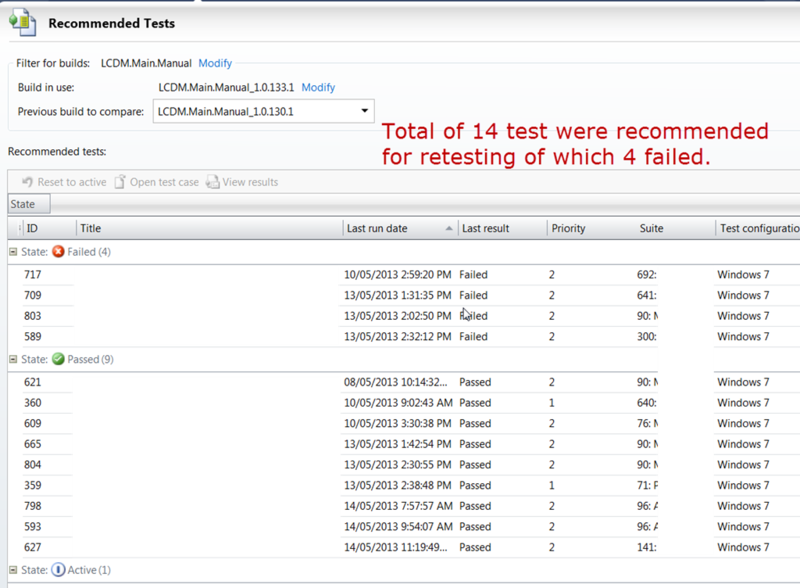 There is the delete/add option however you will lose all test results associated to your test suite. 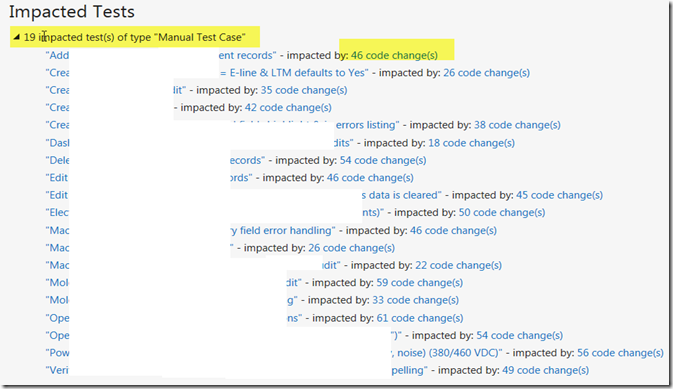 When you delete a suite all test points contained within the suite are deleted. 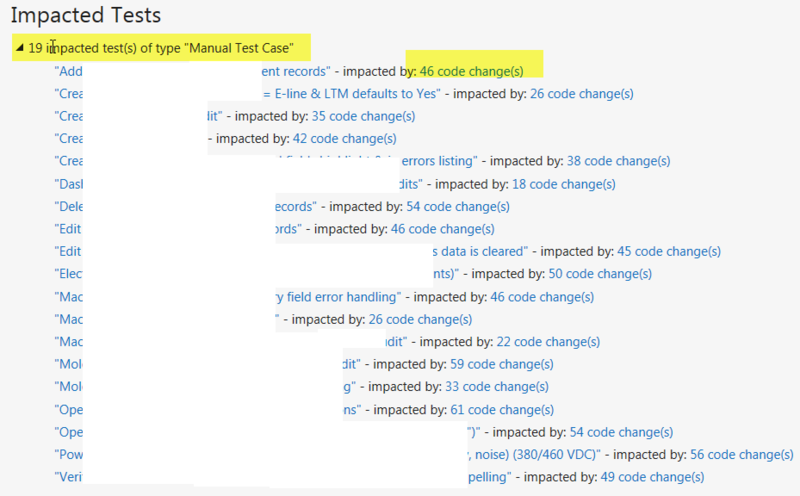 I would only use this when test execution has not happened yet for the test suite. The rename option on a test suite can be used. Select test suite > right-click > Rename. In this option I would copy from the actual work item so the titles match. How do you know there has been a change? Often you don’t without someone telling you or finding by accident or creating a query to compare with. I’d like an alert that tells me when a Requirement title has changed and the Iteration Path. Both of these can affect the Test Plans and their Suites. This happens in both MTM2010 and MTM2012. Many moons ago I blogged about agile being adapted by a school in the states. I thought I’d share another Microsoft fellow who has written and blogs about Agile not only at work but in your personal life. If your struggling with time management read J.D. Meier’s book “Getting Results the Agile Way: A Personal Results System for Work and Life”. Meier’s blogs about Agile Results it is a must to read. In one blog Meier’s explains how to use Evernote (a free application) as your Personal Information Assistant and become agile in all you do. Organizations are investing heavily in building project management competencies through the improvement in processes and use of tools such as Microsoft Office Project Server to ensure the predictable and reliable delivery of projects. At the same time an increasing number of development teams are moving towards agile techniques. Integrating and reconciling development teams and project management has become extremely important. Microsoft’s Application Lifecycle Management strategy includes solutions designed to enable Visual Studio, Team Foundation Server, and Project Server to connect together seamlessly. This session will explore the Team Foundation Server - Project Server Integration Feature Pack and demonstrate how this enables development teams and project managers to work efficiently and increase productivity. Check out the details here and see Charles Sterling’s blog for additional information. If you are interested we have a course on all these items that will help prep you for the exam. Test Scribe – a tool designed to export your Test Plan to word document. The test scribe template can be customized. Shai Raiten has two articles on how to customize. Regular Expression Tester Extension – Parses regular expressions from your code, so you can modify and test them and insert the updated versions. Matches and groups are highlighted for an easy overview of exactly what captures your regular expression generates. Also allows you to save your regular expressions. Silverlight Plugin - Using the Microsoft Visual Studio UI Test plugin for Silverlight, you can create Coded UI Tests or action recordings for Silverlight applications.